Detailed brain cell analysis has helped researchers at UCL Institute of Neurology uncover new mechanisms thought to underlie Parkinson’s disease. 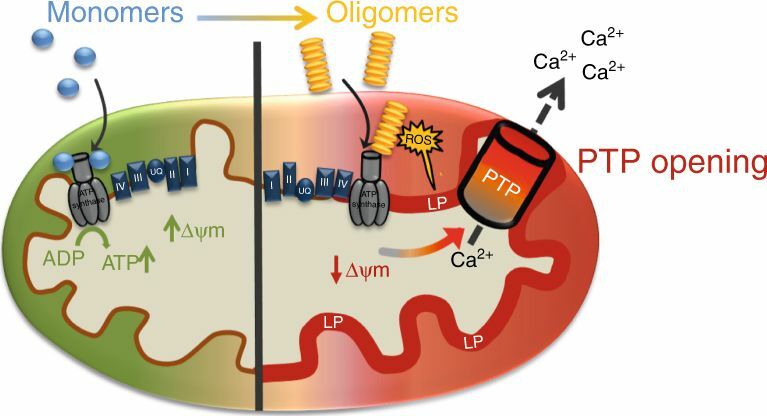 The study, published in Nature Communications, adds to our growing understanding of the causes of Parkinson’s and other neurodegenerative diseases, and could influence drug design in the future. For years, scientists have known that Parkinson’s disease is associated with a build-up of alpha-synuclein protein inside brain cells. But how these protein clumps cause neurons to die was a mystery. They found that clumps of alpha-synuclein moved to and damaged key proteins on the surface of mitochondria - the energy powerhouses of cells - making them less efficient at producing energy. It also triggered a channel on the surface of mitochondria to open, causing them to swell and burst, leaking out chemicals that tell the cell to die. These findings were replicated in human brain cells, generated from skin cells of patients with a mutation in the alpha-synuclein gene, which causes early-onset Parkinson’s disease. By turning patient skin cells into stem cells, they could chemically guide them into become brain cells that could be studied in the lab. This cutting-edge technique provides a valuable insight into the earliest stages of neurodegeneration - something that brain scans and post-mortem analysis cannot capture.